Using a mortar and pestle or a knife, pound or mince the garlic and 1/4 teaspoon of salt into a paste. Transfer the garlic to a small bowl. Add 1/4 cup cheese, 3 tablespoons oil, lemon juice, pinch of salt, pepper flakes, and black pepper and whisk to combine. Pour the dressing over the kale and toss very well (the dressing will be thick and need lots of tossing to coat the leaves). Let the salad sit for 5 minutes, then serve topped with the additional cheese, and a drizzle of oil. Preheat oven to 350 degrees. 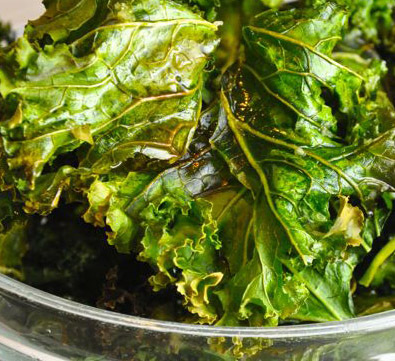 Chop 1 bunch of washed and dried kale into ½ inch pieces and place in a large bowl. 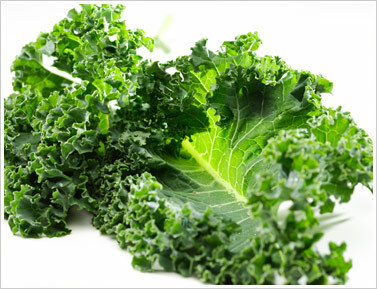 Using your hands, mix the olive oil, lemon juice and Kosher salt into the kale. Place kale on parchment-lined baking sheets. 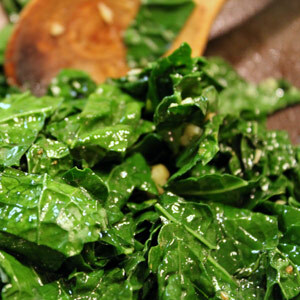 Bake for 10-15 minutes until kale is dark green and crispy. Cool and serve.